OK… so I’m a tad behind. OK. OKAY! I’m a LOT behind! It took me forever to read Pride and Prejudice – not because I didn’t enjoy it (I loved it) but because there were not enough hours in the day! That was ONE of my APRIL books! Here I was thinking I was going to be rereading it (so I’d fly through it) – only to realise that I had never read it in the first place! How weird is that? I guess you hear about a book for so long, see the movies, study a chapter (which is really why I thought I had read it…) in school that you believe you have read it! Well. No. A most enjoyable read it was. I won’t bother with the details as most people who participate in a book club know this one to bits. So, on to the real reason I read it. I found a book on the “Cheap Table” at Chapter’s called The Independence of Miss Mary Bennet by Colleen McCullough (of The Thorn Birds fame). I bought it solely because of the author. If you have clicked on the link above, you will see that this book has received reviews of all sorts – many of them quite negative. I will admit that the first third truly angered and frustrated me. Anyone who has read Pride and Prejudice knows each character. No one wants to hear that the love between Elizabeth and Darcy is naught; or that Jane is rendered even more of a sickly woman after having been pregnant a dozen times; or that Lydia is an alcoholic! ‘Tis true Mary is barely spoken of so McCullough was allowed pretty much free reign. I had no problem with how she dealt with her. It’s the others that, well, traumatised me! That said, once Mary’s adventures started, I got more into it. I would say that one must almost forget the original book and not necessarily treat this one as a sequel to truly enjoy it. And, let’s face it, Colleen McCullough does know how to write a good book! So, though it is almost the end of May, I am still announcing this month’s book! I’ve had more time to read so… I just may finish it in time! It’s the story, as told by five-year-old Jack, about his life in one eleven-by-eleven-foot room. The only room he’s ever known and which is his world. To his mother, however, it is a prison. She manages to create a life for him that both realise cannot contain them indefinitely. I’m looking forward to getting comfortable and gobbling this one up. Matter of fact, I’m going to start tout de suite! If you care to join in this unofficial book club, check it out here. 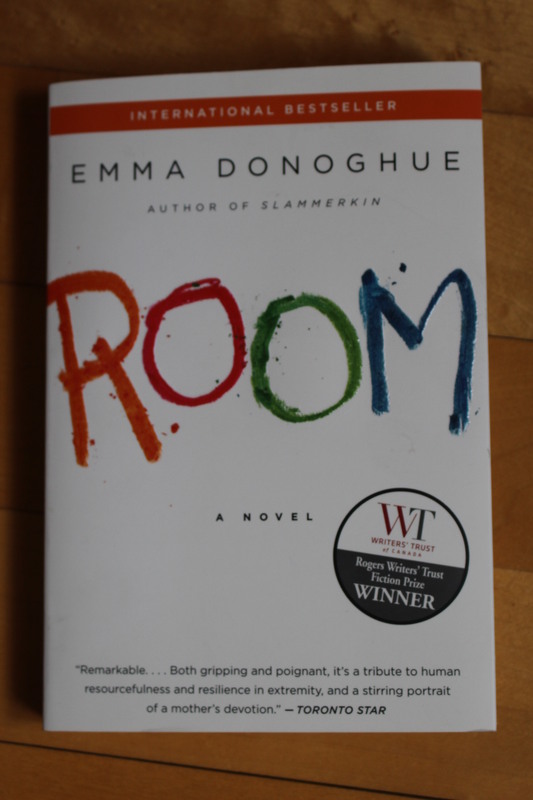 This entry was posted in Books and tagged A Year in Books, Emma Donoghue, Room. Bookmark the permalink. Very nice subject, I’ll surely follow up.